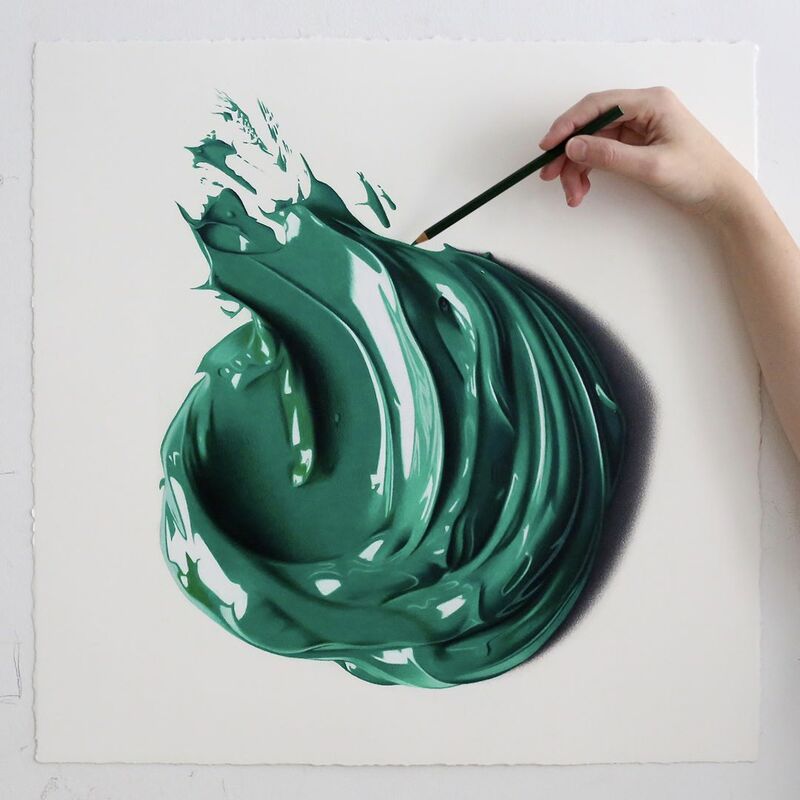 You may know artist Cj Hendry for her black and white work, including a Chanel perfume bottle and Kayne West’s face on a $100 bill. 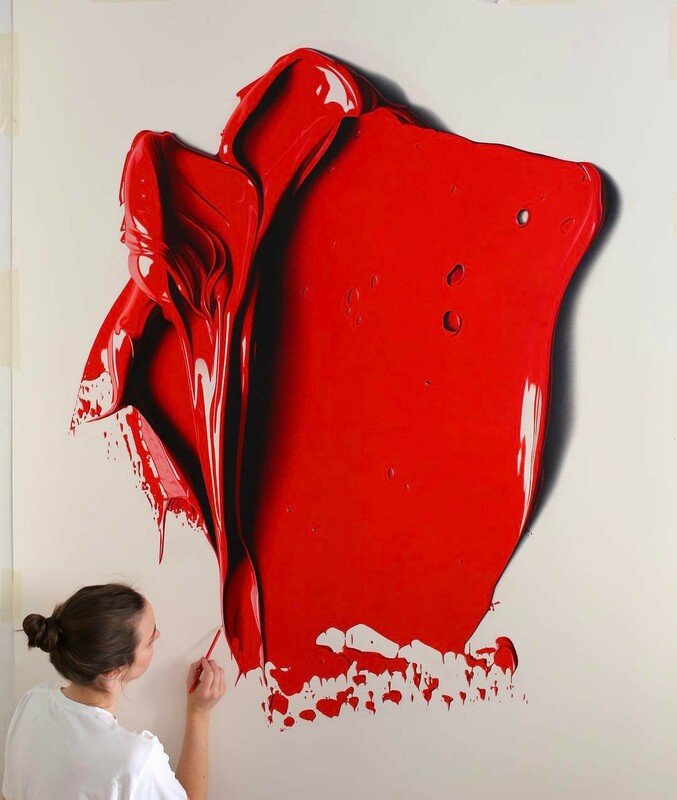 But for Hendry’s latest art project, she took quite a turn from black and white pieces to vibrant, color popping art. 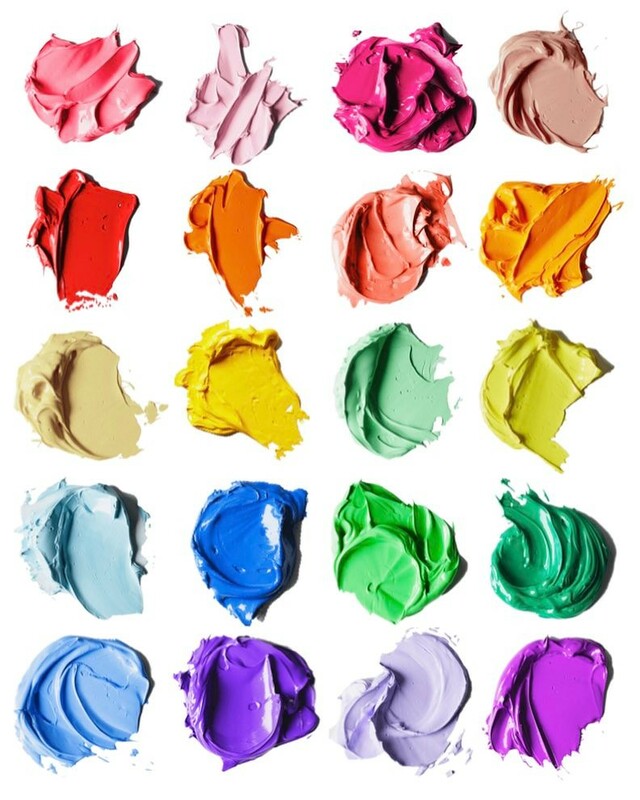 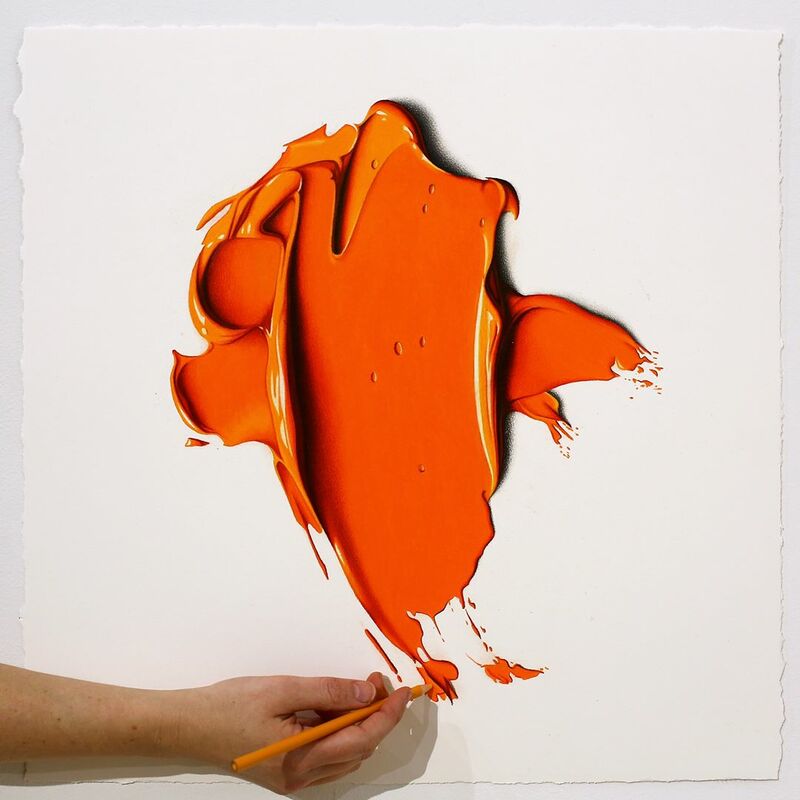 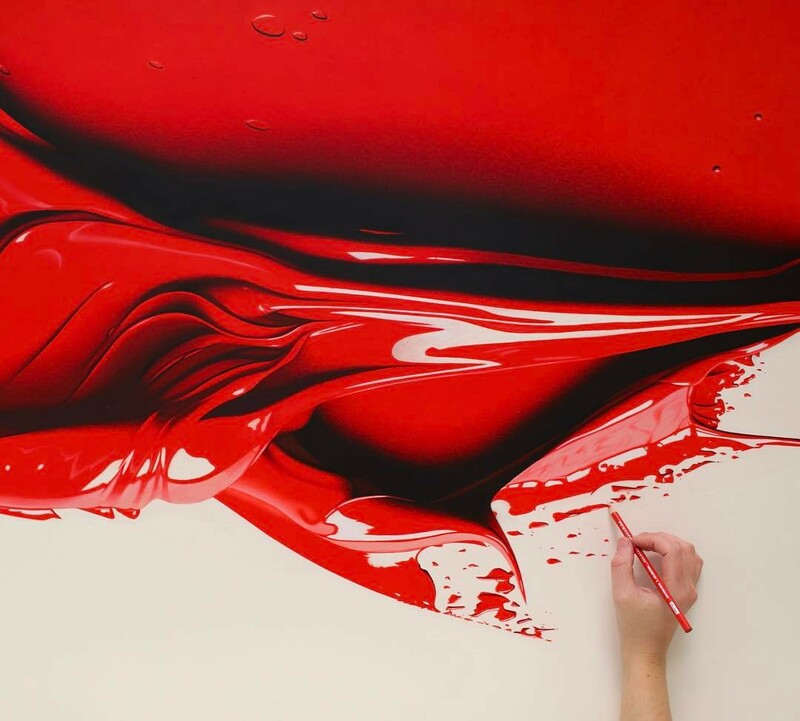 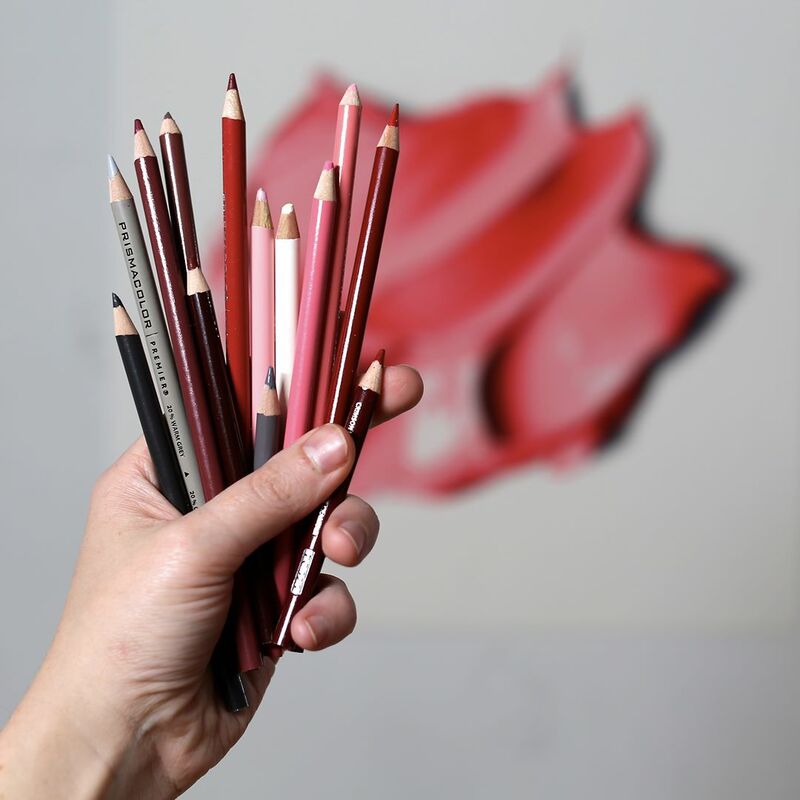 Titled Complimentary Colors, the vibrant series was commissioned by the fashion brand Christian Louboutin for an exhibition during Art Basel Hong Kong. 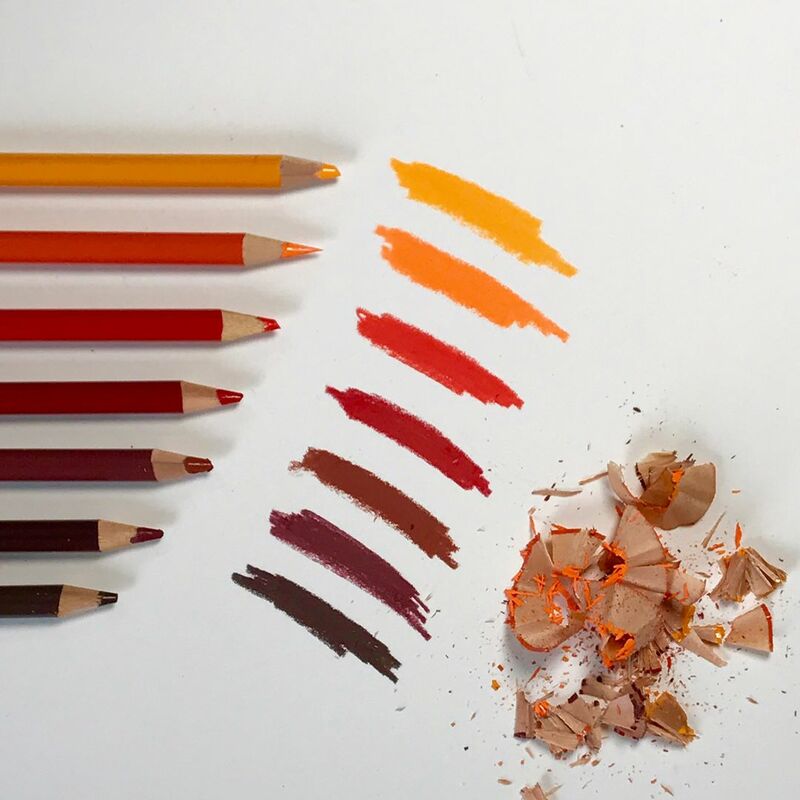 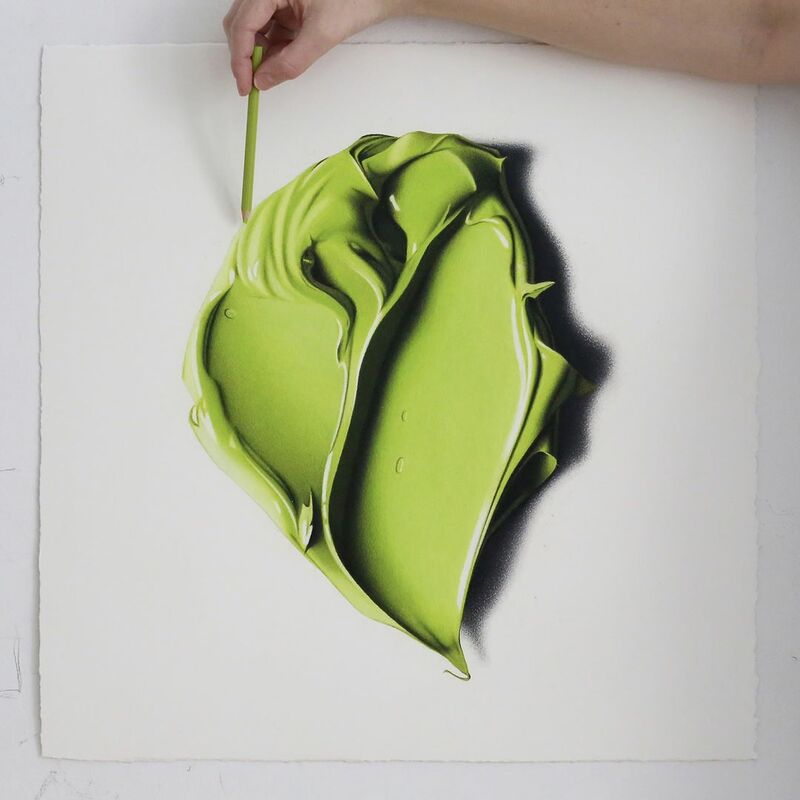 Even though the pieces look like big blobs of paint, the only thing Hendry used for the pieces was colored pencils. 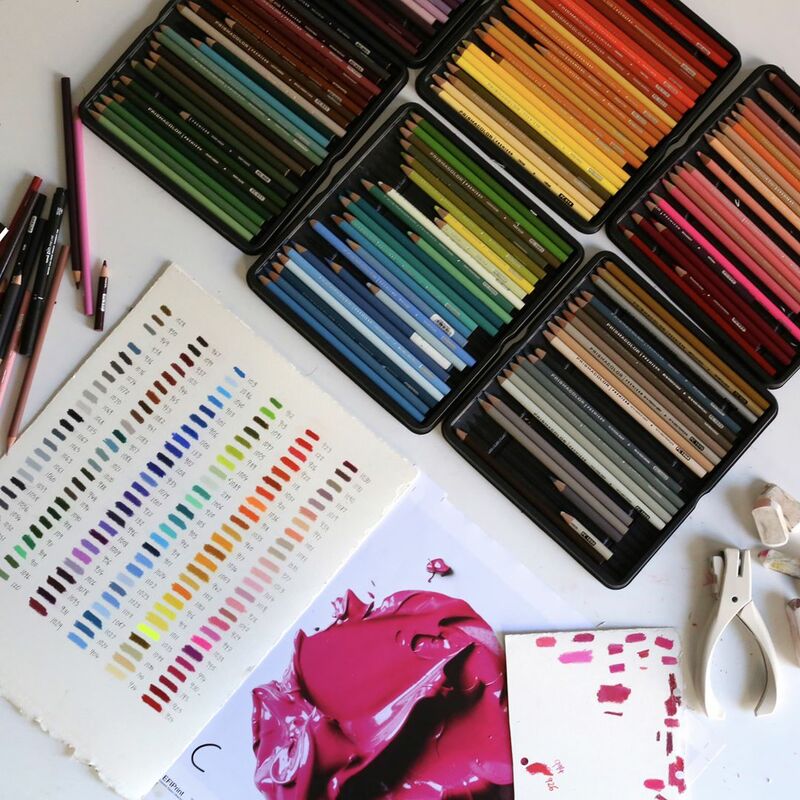 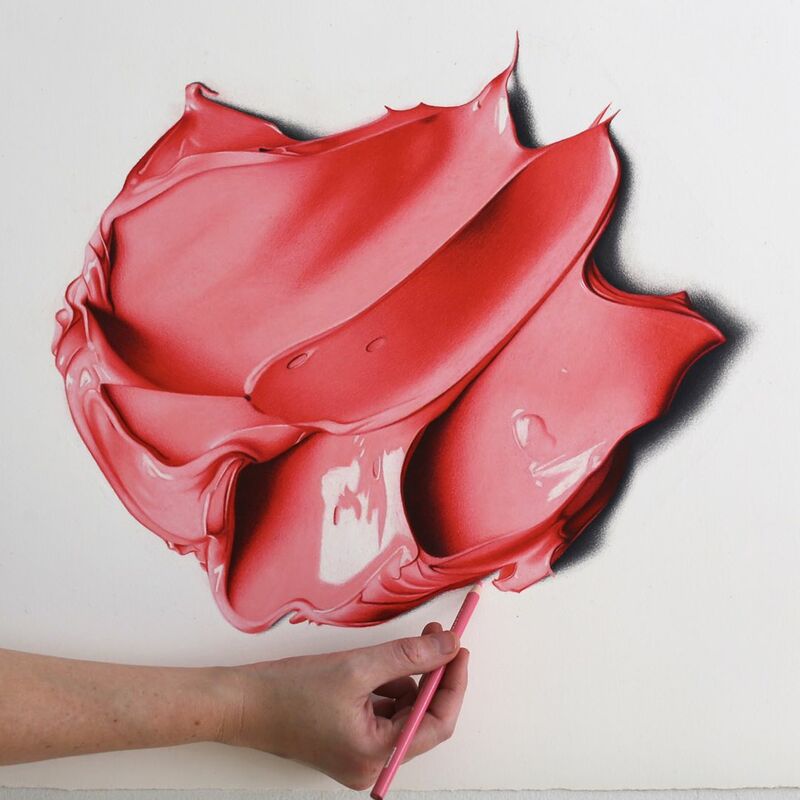 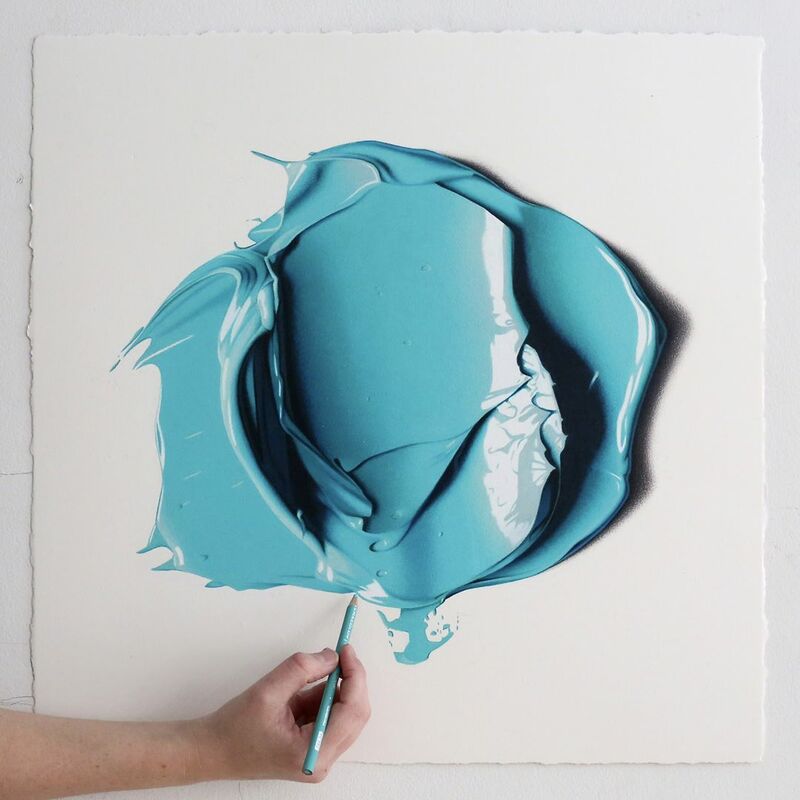 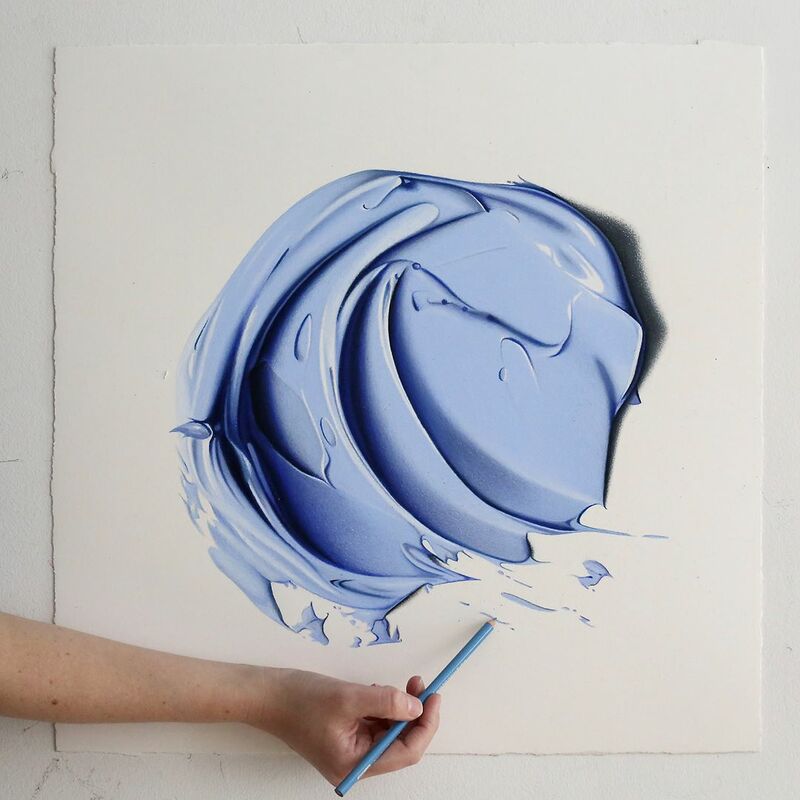 It took a lot of patience, layering of the dry pigment, and expert handling of the medium, but the final hyper realistic art pieces created were so full of sheen and viscosity, you’d never believe they were created using pencils.